Welcome back to the blog. As you already know, I’m obsessed with all things Smart (except Smart Cars of course). I’ve previously mentioned how I used SmartThings in my home and how you can use SmartThings in a new house. If you still aren’t convinced that SmartThings is the way to go, here are 5 reasons I love SmartThings. Smart Light Bulbs are great if you are wanting to test out smart products to see if they are a good fit for you. They are also good if you don’t want to mess with the wiring at the switch or if you live in a home you are renting. Some smart light bulbs can even work without a hub and just through Wifi. I’ve never used a wifi only Smart Bulb though so I can’t speak to how well they work. Here is a smart light bulb that does not require a hub. This smart light bulb requires a hub. Smart light bulbs are a great way to quickly and conveniently have smart light but there are some limitations. Smart Light bulbs lose their connection occasionally and you have to reconnect them. This can be a pain when all you want to do is turn the lights off to go to bed. If your smart light is set up on an outlet that is controlled by the switch, the switch must remain on at all times. If not, the outlet isn’t getting power so your light will not be able to work. Smart Light Bulbs also die out. They don’t necessarily burn out like a regular bulb but with all of the different brands of smart bulbs I’ve used, they stopped working after about three years. They would lose their ability to stay connected and water would collect inside the bulb. Smart switches are definitely the way to go if you own your home and want a permanent and more reliable solution to your Smart needs. 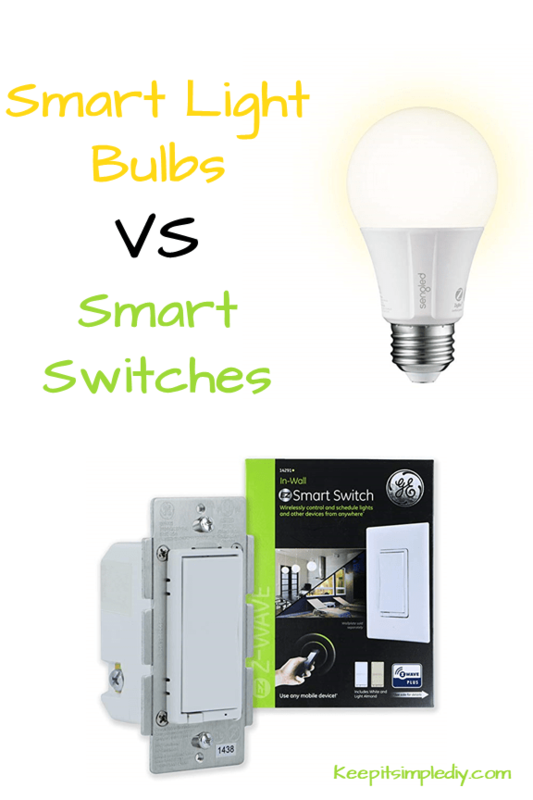 Unlike the bulbs, I’ve never had a smart switch disconnect, probably because it is hard wired. Each smart switch also acts as a repeater for your Smart Things hub. 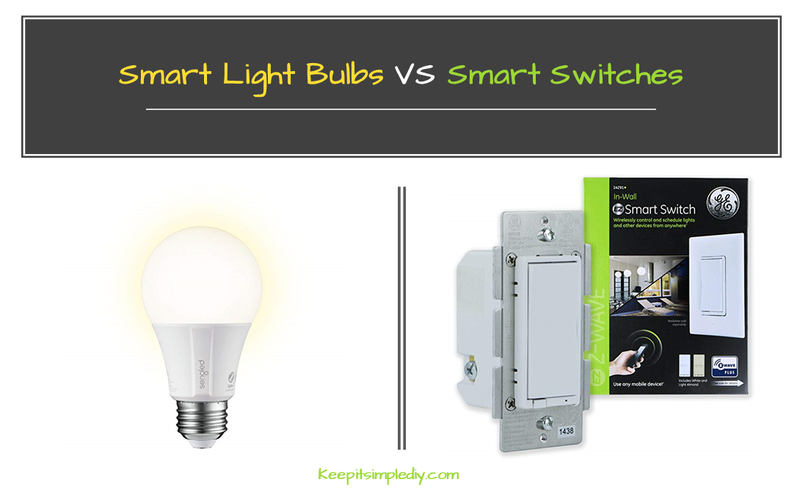 There are two main types of smart switches. Of course, there are some switches that are wi-fi only but since I’ve never used them, I will leave them out for now. The dimmer switch is the main type of switch we have in our house. This works seamlessly with the app. You can also get an Add on to this switch for when more than one switch in your home controls the same set of lights. Additionally, we’ve used these to control the fans in our house as well. The motion dimmer switch is by far my favorite but is quite a bit more pricey. We have this set up in our closet so when we walk into it the light turns on. The smart switch doesn’t have many limitations in my opinion. The main reason a smart switch may not be for you is if you are in a home that you do not own and cannot modify or if you don’t want to rewire the switch. I haven’t had any connectivity problems with the smart switches. Did I convince you to start using smart light? We are obsessed with smart everything in our house.